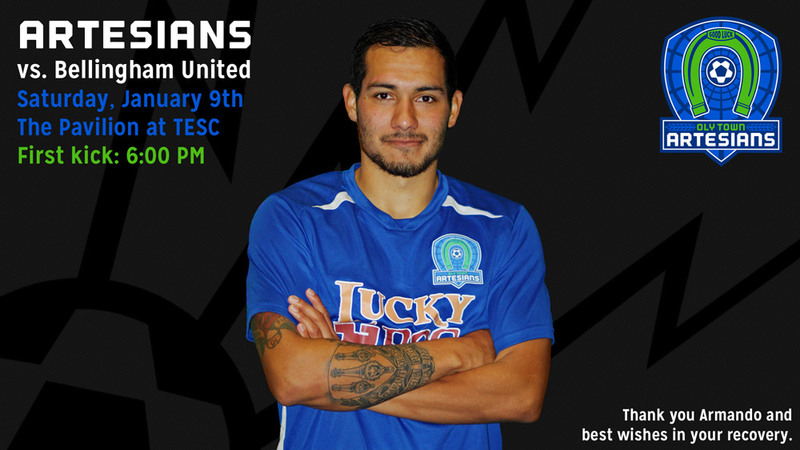 OLYMPIA, Wash. – The Oly Town Artesians kick off the second half of the Western Indoor Soccer League season and wrap up their three game homestand when they play host to Bellingham United on Saturday night. Game time in the first of two straight games against the Hammers is scheduled for 6:00 PM at The Pavilion at The Evergreen State College. Missing an entire line of players due to the holiday, illness and injuries including leading scorer Willie Spurr and starting midfielder Armando Castillo (above), who has been lost for the season with a torn MCL and ACL suffered against the Tacoma Stars Reserves, the Artesians fought back from a six goal deficit but were unable to overcome Sporting Everett FC in a 10-8 loss last weekend. 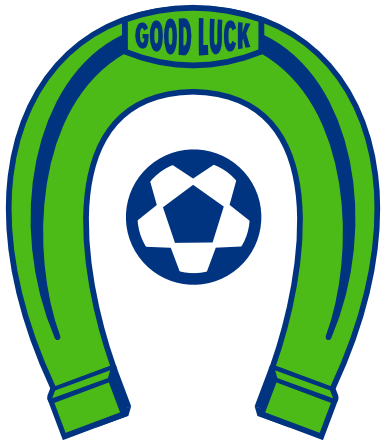 Oly dropped to 1-3-1 this season but have a grand opportunity to get back into the playoff race with two games over the next two weeks against second place Bellingham. 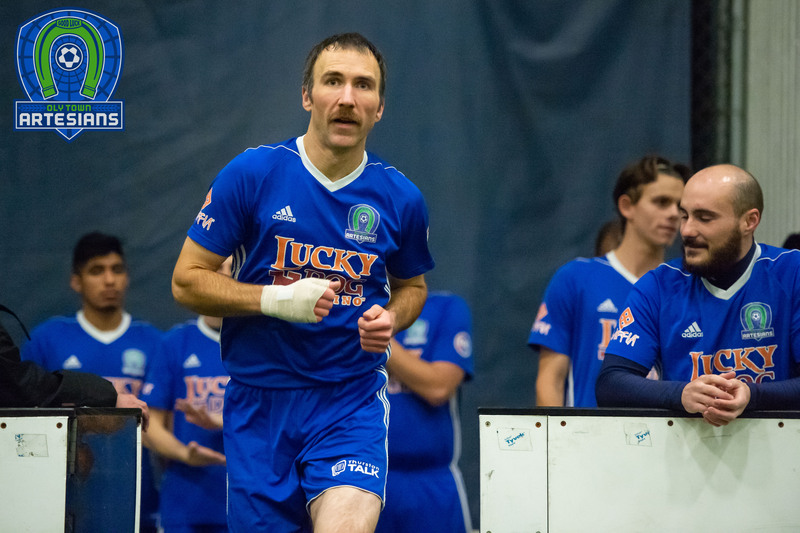 The Hammers enter the game at 3-1-0 this season with their only loss coming to the Tacoma Stars Reserves in a rematch of the WISL championship game. 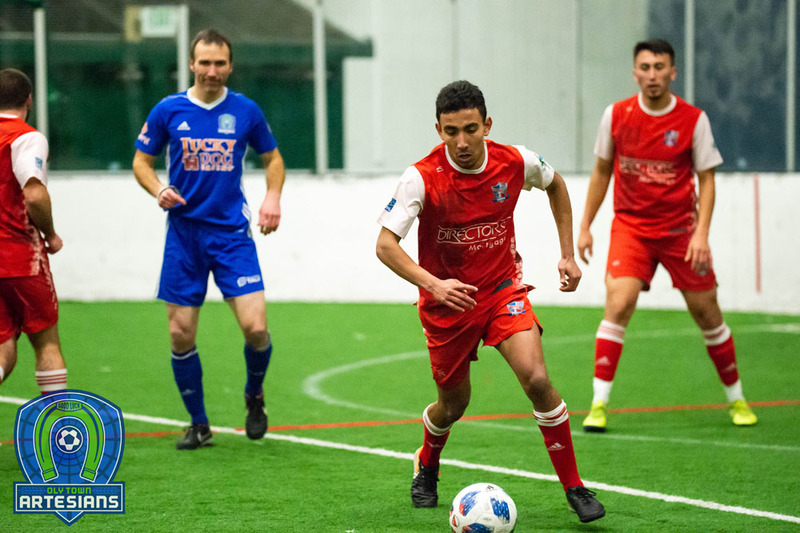 They are coming off of a 9-4 win over the first place Olympic Force last Saturday night in Bellingham. 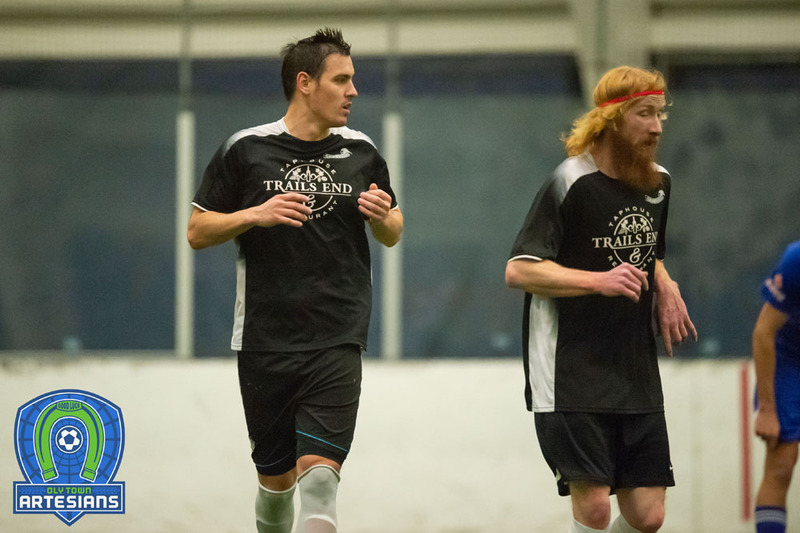 They swept the WISL Player of the Week awards with Brendan Quilici picking up the offensive award and goalkeeper Riley Liddle picking up the defensive award. Saturday night at The Pavilion is Youth Soccer Night. All youth soccer players in uniform will be admitted for free and will be invited to join the Artesians on the field during pregame player introductions. Tickets will be available at the door. Adults are $8, children 5-12 years old are $5 and youth under five are free. Doors open at 5:00 PM. You can follow all of the action on Saturday night and all season long by following the Artesians on Twitter at twitter.com/OlyTownFC, liking them on Facebook at Facebook.com/OlyTownFC and visiting www.olytownfc.com.